Welcome to Crafty Soccer Mom! 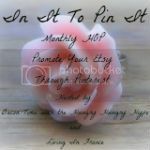 Thank you so much for stopping by my blog :) If you are new here, I would love for you to follow me via Google Friend Connect, E-mail, and/or Pinterest. Have a fantastic day and Happy Crafting! Here is a tutorial on how to make this VERY simple corner bookmark out of paper. The one above I made to look like The Angry Bird...isn't it cute!? Here's the back...or it could be the front..totally up to you....10 points if you can guess which book this is! Ok here's how you can make your very own book mark. I took step by step photos, so let's get started shall we..
You can make this as big or small as your little heart desires..however I suggest starting with a big piece of paper the first time just so it's easier to fold till you get the hang of it. Now take the right corner and fold it up to the center point of the triangle..and the left corner and fold it up so that now you have a square..
Unfold the last step..now take the top part of the triangle and fold down to the center...leaving the back side alone. Still with me? See in the right orange piece? The rest of it is tucked behind the white triangle. Now that you have both sides tucked in you are all done! Slip the page in there and your good to go. This can be the front...up to you..to each his own. Yup..I'm a goober, totally spelled my blog name wrong..it's one of those days lol! Have fun with your bookmarks, get your creativity on! I love that you love this so much!! Thank you :) These are super fun to make...I could make them all day! My boys would get a kick out having an angry bird bookmark. My husband reads a lot and I think he would even secretly love having an angry bird bookmark. haha! Thanks for the tutorial. I am definitely going to give these a try. Joshua would love the angry bird. Great idea. I adore comments from my readers, thank you so much for taking the time to comment and making my day by doing so. Ready for a middle school flashback? Thank you for visiting my blog! If you see something you like and decide to share it on your blog, please let me know, I'd love to come visit and check it out. Have a fabulous day!